Divorce, custody battles and other family disputes can take on a life of their own while sapping the lives of their participants. 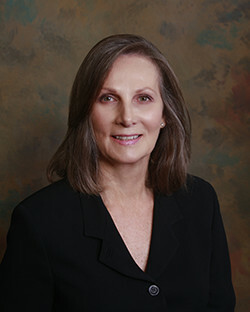 The law firm of Clara M. Martone Bereston, Esquire can help you address new or long-festering disputes amicably and fairly so that family members can get on with their lives. We have provided family law services, counsel and representation to residents of Annapolis and the Chesapeake Bay, including the Eastern Shore, since 1993. Firm principal and sole practitioner Clara M. Martone Bereston, Esquire has been cited by Baltimore Magazine and What’s Up Annapolis magazine over the years for her outstanding work in family law. Moreover, she has garnered the esteem of her peers: Clara is BV® Distinguished™ Peer Review Rated by Martindale-Hubbell® for her professionalism and ethics. Our firm represents both men and women in all areas of domestic dispute. We aggressively represent your best interests, prime among which is the goal of bringing about a resolution as efficiently as possible. We focus on the long-term effects of divorce and custody, taking into consideration the financial aspects and the emotional and psychological trauma that is associated with the breakup of a family. We have in-depth experience in cases requiring the division of substantial assets and property — including pensions, retirement funds and the valuation of businesses and stock options — and in cases involving complex mental health issues. Negotiation and mediation are considered the most-cost-efficient approaches to resolving family disputes. They are considered preferable alternatives to litigation because they tend to be less emotionally damaging for all concerned. When a favorable agreement simply cannot be reached, we are prepared to litigate on your behalf. Our experience comes in the Maryland Circuit Courts and also in the Maryland Court of Special Appeals, where we have successfully argued on behalf of appellants, convincing the appellate court to order the Circuit Court to retry our client’s case, and on behalf of appellees, persuading it to uphold a Circuit Court judgment in favor of our client. Divorce — We help couples resolve such issues as spousal and child support; distribution of personal property, bank accounts, stocks andother assets; division of marital debts; and sale or possession of the marital home. Child Custody — We help parties agree on terms governing primary or joint custody arrangements; visitation rights; grandparent visitation; modification of custody and visitation orders; enforcement of orders; and decisions related to religion, education and upbringing of the child. Alimony — We help you come to terms with spousal support, which typically is categorized as either temporary (covering the period of divorce action), rehabilitative (giving your ex-spouse time to find their economic footing), indefinite (for example, your ex-spouse cannot support themself because of a disability or the standard of living between the spouses would be unconscionably disparate). Family matters are best resolved promptly. For help in resolving your family matters efficiently and with limited emotional and psychological turmoil, contact Clara M. Martone Bereston, Esquire. To get the guidance, definition and closure that your family legal matter needs, call us today at 410-295-3350 or contact us online.